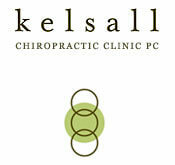 Each year Kelsall Chiropractic Clinic sponsors its licensed massage therapists (LMT) professional development as a way to continue the learning process and bring new and advanced techniques to our patients. This year team member, Pam Worthington participated in an Advanced-Trainings seminar on the neck, head and jaw. Advanced-Trainings is a popular organization that conducts continuing education courses in Portland and around the world through Advanced-Trainings.Com and is based in Boulder CO. Their director/trainer Til Luchau is a regular contributor to the trade magazine published by the Associated Bodywork and Massage Professionals and contributes to their series of webinars on such subjects as Ethics, the Nature of Fascia, and The Body/Mind Connection. The Advanced-Trainings classes specialize in a variety of techniques that can be easily incorporated into a therapist’s tool box. What sets their training apart from other forms of massage training is that many of their techniques are awareness based and ask for the client’s participation. The pressure of practitioner’s hands create a focus in the area of concern. Clients are asked to bring their attention to that area and the tissues around it. The combination of the practitioner’s hands and the client’s attention can result in a softening or release in the tissue. Clients who benefit from this work might be experiencing neck tension, neck pain, movement restrictions or postural issues. Hands on work by the massage therapist starts by focusing on the outer layers of the neck (cervical sleeve), and proceeds to the inner layers, which include the cervical vertebrae. The purpose of the work is to soften the outer tissue layers of the neck to allow work to be done on the inner layers, in order to release tension, reduce pain and to improve range of motion. The face can be a microcosm for what is happening in the rest of the body, and some adults hold excessive tension in the jaw. When approaching these areas the bodyworker must use great care and focus to build trust , particularly when working in and around the mouth since a large part of the brain is dedicated to the mouth (speech, sensation, taste). With hands on training and yearly continuing education and advancement in techniques, we can better serve our patients at Kelsall Chiropractic Clinic . Call to setup an appointment for massage therapy in Portland: (503) 223-8719.